LESSER TOE DEFORMITIES | GEORGE D. GOUDELIS MD. Ph.D. In everyday clinical medical practice meet people with deformities of the toes which except of the aesthetic disadvantage most often generate functional problems of the lower limb afflecting negatively the patients sentiment. The deformities of the fingers may relate to one or all joints of the toes of the foot. 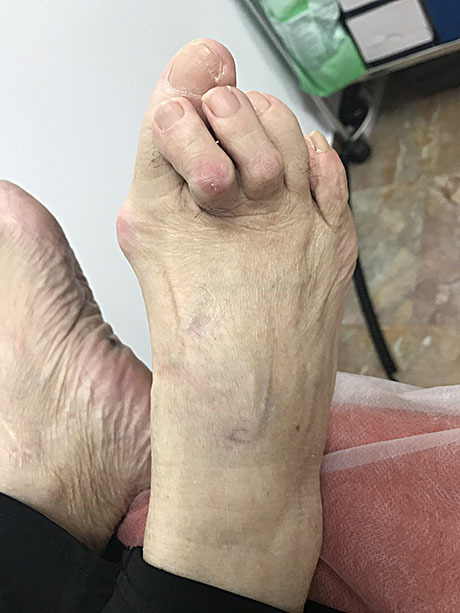 A variety of the lesser toe (toes with two to five) deformities such as the hammer toe, claw toe, crossover toe and mallet toe may be associated with pain and footwear restriction. Deformities of the lesser toes may involve the metatarsophalangeal (MTP) or interphalangeal (IP) joint or both and may involve single or multiple digits. 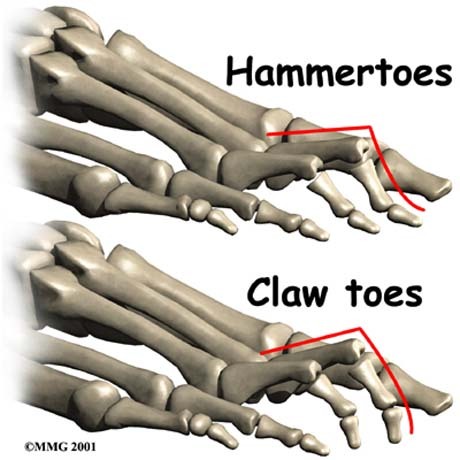 The term CLAW TOES refers to the deformation of all the joints of the finger. The finger takes 'hook' shape and makes difficult for the patient to wear shoes of his choice. 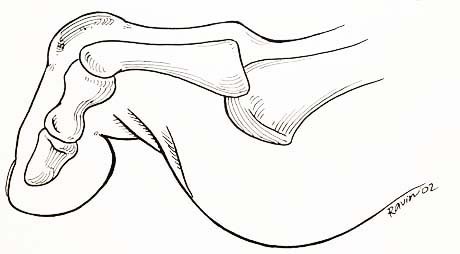 HAMMER TOE deformity characterized by flexion of the proximal interphalangeal joint. With weight bearing the metatarsophalangeal joint appera dorsiflexed however, this should correct with elevation of the foot off the ground. 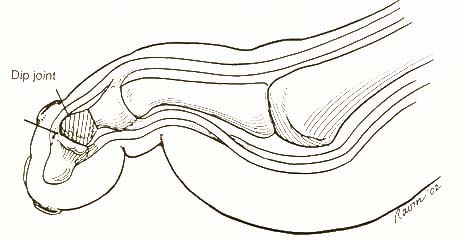 A MALLET TOE consist of an isolated flexion deformity at the distal interphalangeal joint. They occur throughout life, although are most often seen in the seventh and eighth decades. Women are affected four to five times more often than men. The deformities of the toes may be due to several factors. The rheumatoid or psoriatic arthritis sometimes creates serious deformation of the fingers. Neurological diseases - Charcot-Marie- Tooth syndrome, cerebral palsy which create imbalance of the forces exerted by the tendons in the fingers. Pain of the toes due to inflammation of the joints (rhematoid arthritis), or the callus formation and nail dystrophy. This set of things creates psychological problems in the patient leading him to further reduce physical activity. They should also assess the general health of the person that is the investigation of diseases which may be the cause of the occurrence of deformities (psoriasis and psoriatic arthritis, neurological problems, etc). The evaluation of the patient's gait problems in the fingers is necessary as well as the clinical monitoring of other joints can be affected by the condition of the legs (knees). The radiological examination -X-ray- of the feet is the basic examination. The blood tests for the investigation of autoimmune diseases (rheumatoid arthritis), and the control of blood glucose for diabetes is necessary. The evaluation of vascular condition -triplex-, of the lower limb, will help to Orthopaedic surgeon about the skin's ability to heal after the operation. Conservative treatment is aimed at preventing a worsening of deformities and pain management. 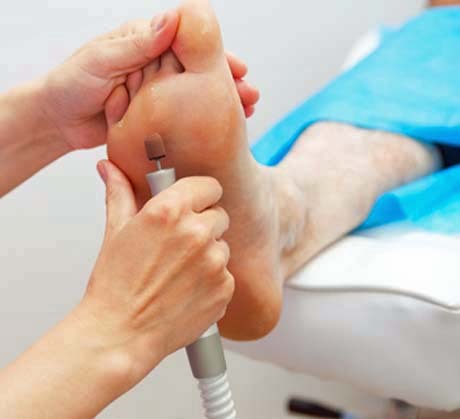 The foot care specialist for cleaning and care of corns and callus formations. Wearing supportive custom-made plastic or leather shoe inserts (orthotics) to help relieve pressure on toe deformities. Using splints or small straps to realign the affected toe. Wearing shoes with a wider toe box. Injecting anti-inflammatories to relieve pain and inflammation. 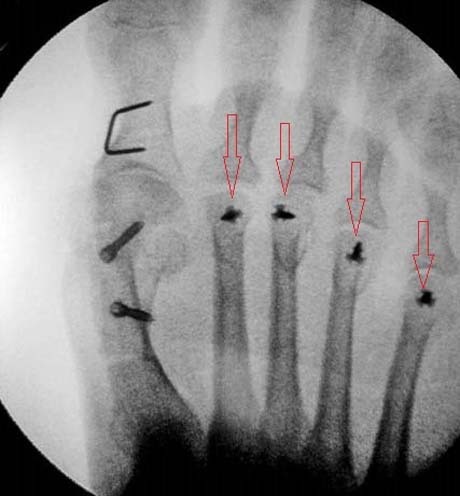 Surgical treatment is applied in cases of deformation of the fingers which are painful to achieve correction of the mechanical axes of the toes giving thereby stably and functional toes. The type of surgery depends on whether the deformations are flexible or rigid and include manipulation of soft tissues - section of the tendons, tendon transfer or bone as osteotomies or arthrodesis. Surgical treatment is the final solution in cases where the cause of the deformations are rheumatoid arthritis and generally in autoimmune conditions involving and joints of the fingers.